Kochi : In most criminal cases evidence is important than eye witnesses and in the present scenario scientific evidence has major role, said Justice Surendran Mohan, Judge of Kerala High Court. 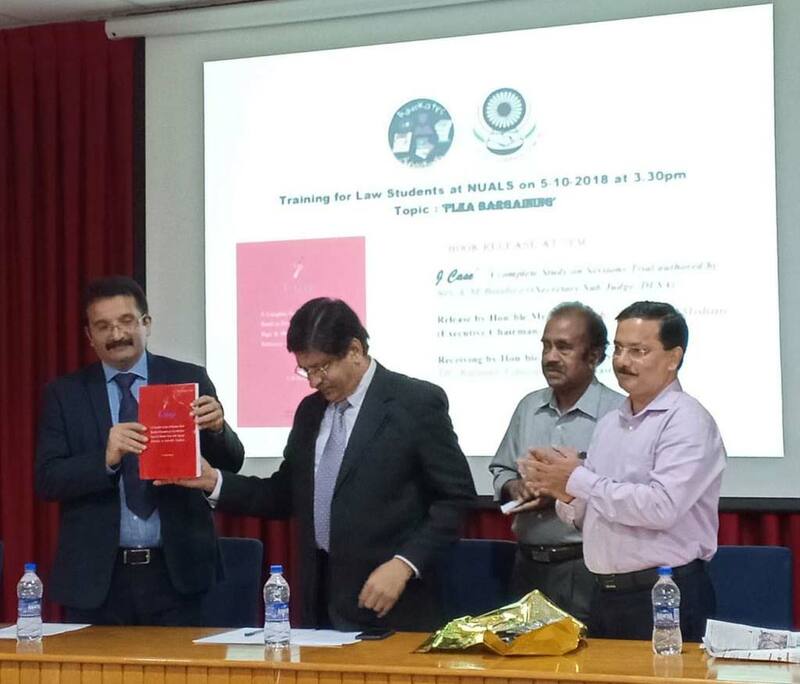 He was speaking after releasing the book "J Case - A complete Study on Sessions Trial" at the National University of Advanced Legal Studies, Kalamassery. Digital evidence, DNA matching , smart phones and sim cards etc can provide clue to evidence, said the Judge, substantiating some recent criminal investigations. The book was written by AM Basheer, Sub Judge and secretary of District Legal Service Authority, Ernakulam. Dr. Kauser Edappagath, District and Sessions Judge recived the first copy of the book. Dr. MC Valsan, Professor at NUALS presided in which Hari S Nayar welcomed and Namitha KL tendered the vote of thanks. Before the book releasing a training class for Law students on the topic "Plea Bargaining also was held. Class was handled by AM Basheer.